Here is my week 2 testimonial on OxyMask. In this review I will share my weekly skincare routine while using this oh so amazing mask. Since in previous post I stated that it is advisable to use this 3 times a week, I decided to use them on Sunday as the start off the week, then in the middle of the week on Wednesday, and lastly on Friday! 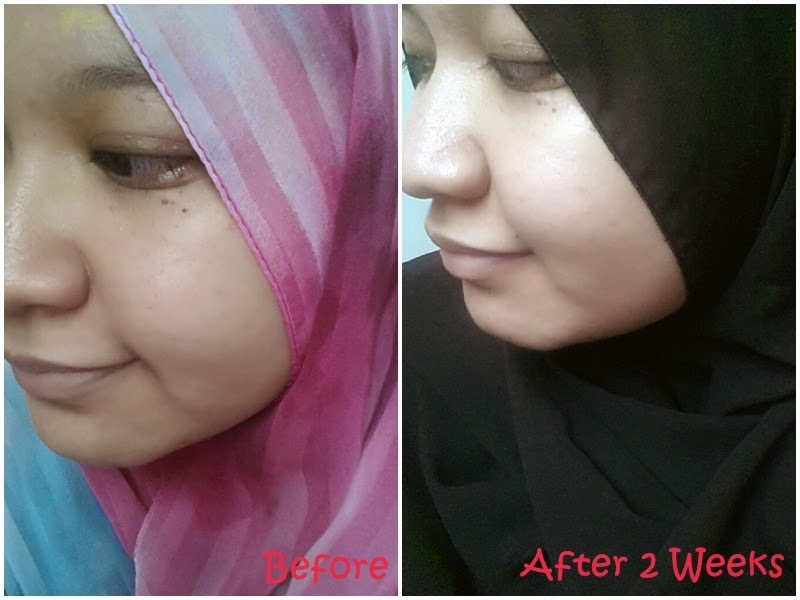 The picture above on the left is the picture when I first try the mask, and the after picture is taken 2 weeks after application. Do you know why the skin got brighter almost instantly when you apply them? Because lack of oxygen in skin will make skin looks dull while OxyMask as per named gives our skin a boost of oxygen. I love the fact that this mask gives me enough hydration, and also gives instant result to make my face glow and radiant skin.